Dr Muthulingam Kasiraj faces allegations of professional misconduct and poor professional performance. A CONSULTANT PSYCHIATRIST has cast doubt over the quality of doctors who graduate from medical schools in eastern Europe after finding a “worrying pattern” of mistakes and poor performance by a psychiatric doctor who qualified in Bulgaria. Consultant psychiatrist Dr Paul Scully gave evidence at a Medical Council fitness to practice hearing this morning in the case against Dr Muthulingam Kasiraj, who preferred to be known as Dr Sripathy. The 36-year-old from India faces 24 allegations of professional misconduct or poor professional performance, although two were stuck out this morning at the hearing. The hearing in Dublin was told Dr Sripathy had lacked basic medical knowledge, prescribed unusual dosage of drugs, prescribed drugs without knowing their effects, and acted against the express wishes of his supervisor. He was also allegedly unable to conduct a neurological examination and did not appear to know that a malignant melanoma was a skin condition. Dr Sripathy first received his medical qualification in Bulgaria in 2005, and was granted the right to practise in Ireland by the Medical Council in 2012. I can’t use a sweeping generalisation for all overseas doctors. Dr Scully added that some overseas doctors were of a very high standard. “However I’ve found the broadening of the EU and the upsurge of people from all over the world studying in eastern Europe, has resulted in students becoming a full medical doctor,” after receiving a medical education that was “less serious and less robust” than that received by Irish graduates. Dr Sripathy worked in the child and adolescent psychiatric services in Mullingar from January to June of 2013, before securing an NCHD position at St Loman’s Hospital in the town, a general adult psychiatric facility. The hearing previously heard that Dr Sripathy was subsequently diagnosed with anankastic disorder, an obsessive compulsive personality condition. Dr Paul Scully said he did not think Dr Sripathy was mentally ill. He said it was mainly down to a lack of capability, and a less robust medical education than he would have received in Ireland, rather than any medical issue. 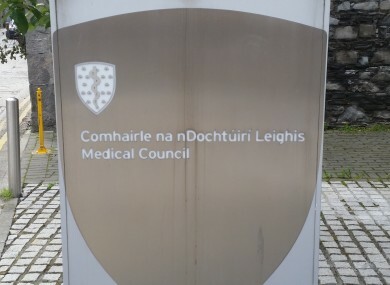 Dr Scully said there was a repeated lack of basic medical knowledge, an overall limited capability in the first place which was compounded by repeated mistakes, a failure to follow instructions, to write GP referral letters and to upskill. Dr Scully said that Dr Sripathy did not exhibit the requisite criteria for anankastic personality disorder. The failure to follow instructions was actually the opposite of conscientiousness, which is one criterion of personality disorder, he added. Dr Scully said there would need to be four criteria there to a significant degree to be found before a diagnosis was reached. Dr Scully also said he found no evidence of ADHD. An ability to carry out an adequate neurological examination… not being able to carry out a neurological examination, is a basic failure for a doctor, any doctor. I would agree that was inappropriate course of action. If you can’t trust that NCHD to follow your instructions. The hearing heard that Dr Sripathy said he prescribed medication “because the nurses told me to” on 22 August, despite instructions to run any decisions like that past Dr Corcoran, his supervisor. In another case, the doses prescribed by Dr Sripathy were “particularly odd” or the name of the medication was wrong, Dr Scully added. He said that Dr Corcoran was the one who said he had ADHD, and disputed Dr Scully’s contention that he did not suffer from mental illness. Email “Medical doctor 'didn't know a malignant melanoma was a skin condition'”. Feedback on “Medical doctor 'didn't know a malignant melanoma was a skin condition'”.